Zodiac Nautic is world leader in inflatable boats. 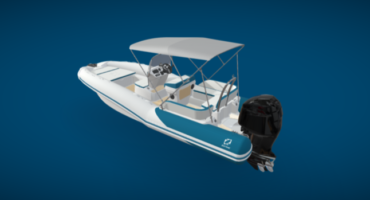 The 120 year old company has recently launched an extensive boat configurator based entirely on Sketchfab technology. I talked to Antoine Heber-Suffrin, who is their Head of Digital Innovation, to learn what was involved in a project of this magnitude. This is an article in our API Spotlight series, highlighting projects that customize our viewer through our API. Can you tell us a bit about Zodiac? Zodiac has a long and renowned history related to all things inflatable. The company turns 120 years old in 2016 and was founded in France as an aeronautic company building hot air balloons and balloon airships for the military. But it’s name is better associated with the marine business where Zodiac made its biggest mark: the company’s engineers invented the inflatable boat in the 30s, made popular with Cousteau movies and the nautical activities boom in the 70s, which got the Zodiac name so well recognized among the general public that a majority of people now associate inflatable boats with the Zodiac brand. Zodiac Nautic is the World leader in the inflatable and RIB Business with production facilities in France, Tunisia and the USA. In order to maintain our leading position, we intend to keep innovating in products and services. The Zodiac Configurator fits exactly this purpose. What will an online configurator bring to your business? With the rise of digital sales, people have been exposed to an unprecedented width of choices for the products that they buy. The possibility to differentiate and customize quickly became a need, especially for high-price passion-based purchases such as cars and motorbikes. For boats, it’s even more crucial as people use them in very different ways (fishing, cruising, diving, etc.). The boating industry, however, is still stuck in its old ways: producing new standard models of boats with limited customization options, hoping that they’ll sell. At Zodiac Nautic, we wanted to reverse that strategy: let the customer tell us what he wants in terms of colors & equipment and we’ll produce it. A configurator allows us to do this and get direct contact with our customers’ demands. It also allows us to better adapt to fashion changes and not make style bets years in advance with no guarantee it will still be popular by the time the boat reaches our dealers. What kind of customizations did you make, and how did you do it? We started the Zodiac Configurator with our high-end model, the N-Zo, which mostly comes with customized color options and some equipment options (sunroof, ski pole, sound equipment, etc.). You can personalize almost everything for a truly unique boat: hull, deck, inflatable tubes, upholstery, rubstrake, the possibilities are endless and that’s what we wanted. This is just the beginning however: we have over 30 different boat models at Zodiac, some of which come as complete sandboxes where the future owner can adapt the entire equipment to his future use (fishing, diving, etc.). Being able to rotate around the boat as you’re choosing equipment is invaluable! We plan to have all these customization options in the configurator as well, in the near future. Who developed the custom code for you? Was it a difficult project? What does the workflow for creating a new interactive model look like? At Zodiac Nautic, before greenlighting a new boat, it is modeled in 3D and entirely textured to allow us to get a good feeling of what the boat will look like. We use these models in the configurator. It’s originally very high definition and quite heavy, so the workflow starts by stripping any unnecessary elements (screws, hidden parts) to make it lighter in faces before going online. Each material is isolated and the model is uploaded to our Sketchfab account before being linked to the configurator. It took some time to figure out the best process for the first 4 models, but we now have a workflow that’s more straightforward. It was actually a big part of the decision to use Sketchfab: being able to use assets that we already had instead of producing new ones. Did you get any reactions to the Sketchfab models on your website? The first reactions are very enthusiastic, and mostly come from our dealers at this point. The idea behind this configurator is not only to let people play with the tool online and generate interest: it’s also designed as a tool for our dealers. Zodiac Nautic has around 1,600 dealers worldwide visited by thousands of people every year. It’s difficult for them to show all the models in their store, so the Zodiac Configurator will solve some of these problems. The tool is available on desktop, tablets and smartphones, allowing our dealers to advise future buyers in a whole new way. And they’ve been waiting for this a long time. We insisted on the “fun” part of the configurator because this will also allow us to generate foot traffic on our booths during boat shows and events worldwide. And the first reactions seem to suggest that we succeeded on that front. 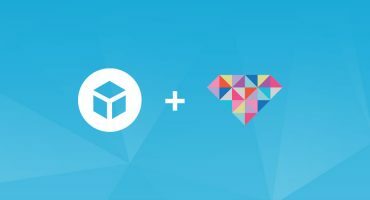 How is Sketchfab important for your business? Sketchfab is essential to this whole operation. It allows us to upload any model that we want in the configurator and virtually come up with an infinity of customization options. If you take the example of the car industry, most configurators use pictures of the car to show the customization options and the different views. Producing these assets can get very labor-intensive, whereas Sketchfab allows us to come up with thousands of customization on a single 3D model. If we want to add 20 additional color options tomorrow, it’ll be done in a matter of minutes. Sketchfab also hosts our models, displays them directly in the browser and offers a comprehensive pricing plan that lets us concentrate on developing cool features. I think the era of beautiful online 3D configurators has started, and the Sketchfab team has a lot to do with it. Don’t forget to visit Zodiac Nautic’s excellent boat configurator and try all the different options. Are you inspired to build an application with our viewer too? Then start off with the Viewer API documentation. Feel free to drop any questions in our Development and API forum. I’m glad to say that my talented team consists of Frodo Schering (http://www.frodoschering.nl/) and Arjen and Jeroen from Innouveau (http://innouveau.nl). I was not alone on this one!